Among hobby circles, the O-Pee-Chee name is a Canadian icon. Especially for those who like hockey. But that's not the only sport that the name is known for. O-Pee-Chee baseball cards have a rich history in the hobby, even if they never quite hit the mainstream. But those who go where others don't are often the ones who find the greatest rewards. O-Pee-Chee is most closely connected with Topps, as the two card companies shared similar designs for much of O-Pee-Chee's baseball history. However, there are some bookends where the two companies were not directly connected. Starting out as a candy company, O-Pee-Chee baseball cards date back to the mid-1930s. Although not traditional cards, 1934 O-Pee-Chee V94, or 1934 Canadian Butterfinger, is credited as being the company's first diamond set. 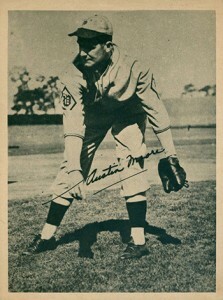 The similar 1934 Butterfinger R130 cards were distributed in the United States. Measuring 6 1/2" by 8 1/2", the V94 premiums are smaller than their American counterparts but also much larger than traditional cards. Also, the 58-player checklist is smaller than the set released in the U.S. Key cards in 1934 O-Pee-Chee include Babe Ruth, Lou Gehrig and Jimmy (Jimmie) Foxx. 1937 O-Pee-Chee Batter Ups V300 was the company's next baseball set. The card fronts are like a mix of the 1934-36 Batter Up and the 1934 Goudey sets available in the United States. The pop-up-style cards measure 2 5/8" by 2 15/16". Card backs have a brief player bio that's English on the top and French on the bottom. 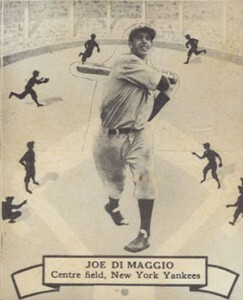 Joe DiMaggio, Bob Feller and Hank Greenberg are among the superstars on the 40-card 1937 O-Pee-Chee Baseball card checklist. All players are from the American League. Some have pondered whether there were plans for an ensuing National League set, but that never materialized. It would be nearly 30 years before O-Pee-Chee would ever issue another full set of baseball cards. O-Pee-Chee baseball cards returned in the mid-1960s. Through a marketing agreement with Topps, O-Pee-Chee baseball cards carried a very similar design to their American counterparts. However, they were printed and distributed out of London, Ontario. Every year between 1965 and 1992, O-Pee-Chee sets were produced that essentially looked like the Topps set. While there were some differences (noted below), collectors could essentially refer to OPC cards as Canadian Topps cards. Without the population of the United States, nor the rabid love for the game, O-Pee-Chee baseball cards have, historically, much smaller print runs. Although they can be much harder to track down compared to Topps cards, they usually don't carry a huge premium. In large part, that's because a lot of collectors don't accept O-Pee-Chee as full mainstream sets. They carry the same licensing and logos, but vintage collectors growing up in the United States likely don't have the same corner-store nostalgia for the cards like they do with their Topps counterparts. At a glance, most O-Pee-Chee and Topps baseball cards put out between 1965 and 1992 look the same. But when you look a little closer, there are some noticeable difference. Besides the logo, the biggest is the bilingual text that starting appearing on the back of O-Pee-Chee cards in 1970. Both English and French were included. The copyright in the fine print on the back is another way to quickly spot an O-Pee-Chee Baseball card. 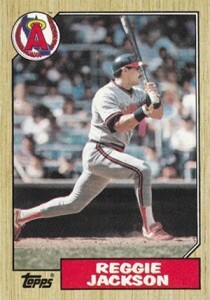 This is especially important for 1990 and 1991 O-Pee-Chee Baseball where the set kept the Topps markings. The copyright is the fastest way to tell the Canadian cards from the American. Another quirk to many O-Pee-Chee cards are traded lines that note off-season roster moves. Often, O-Pee-Chee would keep the same photo and switch out the logo and team name. The card front would also have a small, "Now with..." note. Some O-Pee-Chee baseball cards have different photos as well. Often, this was for trades, but not always. 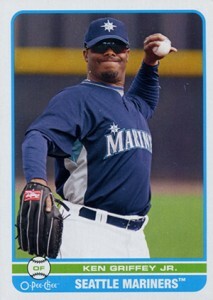 Sometimes it's a simple photo variation when placed alongside their Topps counterpart. Variation card backs can also be found with alternate comics. The retired blog, Oh My O-Pee-Chee is a great source for variations between the two companies. O-Pee-Chee baseball sets are traditionally smaller than Topps sets from the same year. This often means a lot of number changes and players left off of checklists. 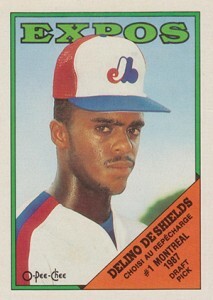 Understandably, O-Pee-Chee also put a greater emphasis on Toronto Blue Jays and Montreal Expos. Sometimes this meant players getting added to an O-Pee-Chee set that weren't in Topps. One example of this is 1988 O-Pee-Chee Baseball, which included draft pick cards of Delino DeShields (Montreal) and Derek Bell (Toronto). Neither would appear in American sets until a couple of years later. 1992 O-Pee-Chee also has a series of Gary Carter tribute cards showcasing the different teams he played for. These are not in the 1992 Topps set. 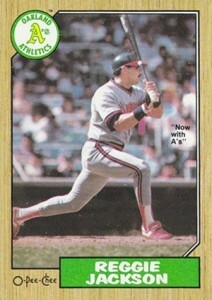 While O-Pee-Chee produced their traditional Topps-like set in 1991, they also expanded to a second standalone line. 1991 O-Pee-Chee Premier Baseball was one of the most hyped sets of the year, based largely on the success of 1990-91 O-Pee-Chee Premier Hockey. The quality was noticeably higher. So was the initial price tag. But like most every set from 1991, it was vastly overproduced. Today, 1991 O-Pee-Chee Premier Baseball can be found extremely cheap. Historically, it's important because it marked a branching out for the brand. O-Pee-Chee Premier Baseball continued in 1992 and 1993 apart from the Topps line. 1993 O-Pee-Chee Baseball was a huge departure for the Canadian company. It abandoned the Topps design and went with one that was all its own. Both the design and the checklist were nothing like 1993 Topps Baseball. It even included its own insert sets, focusing largely on the World Series Champion Toronto Blue Jays. This theme carried over to 1994 O-Pee-Chee Baseball. Again, everything about it was original: different design, new checklist, fresh inserts, Blue Jays-centric. But the set marked the end of an era for O-Pee-Chee Baseball. The double-dose of labor stoppages in baseball and hockey led to O-Pee-Chee leaving the card business. Topps would bring it back a couple of years later in hockey and as a Canada-exclusive basketball parallel, but not for baseball. But O-Pee-Chee hadn't left the diamond just yet. Upper Deck gained the O-Pee-Chee name in 2006. While it started out as a hockey brand immediately, in 2008 the brand returned as a retro-style insert in 2008 Upper Deck Baseball. This continued again a year later in 2009 Upper Deck Baseball. Upper Deck expanded the brand's presence, introducing a full release with the name. 2009 O-Pee-Chee Baseball featured a massive checklist, old-school card stock and a big vintage vibe. At the same time, O-Pee-Chee became the center of a major lawsuit between Upper Deck and Topps. In a nutshell, Upper Deck had started designing retro cards based on classic OPC designs. The problem was, Topps claimed those designs belonged to them. The two parties settled and Upper Deck did not try to use any more old Topps/O-Pee-Chee designs. In 2010, Upper Deck lost their MLB license. They've continued to use the O-Pee-Chee brand for hockey. But for O-Pee-Chee baseball fans, there hasn't been a new set since 2009. Today, the O-Pee-Chee name carries a lot of prestige with Canadian collectors. It had a good run that many long-time collectors recognize and respect. For those who haven't delved into the brand, it represents a challenging alternative to the more common Topps sets. Given their more limited availability, they might just be a bargain too. 1990 O-Pee-Chee #692 SAMMY SOSA RC Rookie! WHITE SOX! Graded PSA 8 NM-MT! RARE! Great article Ryan. Really interested on the details of that upper deck vs topps case. Nick � Thanks! This article touches on it and has several backlinks to previous developments. Have just found a complete set of 1993 baseball cards…..O-pee-chee. Any idea if they worth anything. My brother in law had them and he has passed away. Chris pengelly � Hi Chris, Unfortunately, they don’t have any significant value. Did you write the article ‘A Brief History of OPChee Baseball Cards? Would you have an idea if their worth is somewhat close to the same Topps sets? I have many PSA Graded Cards but not many OPC Baseball. Ted Czarnecki � I think it varies. Historically, OPC has been somewhat overlooked but many are starting to realize how rare some of the earlier stuff is so values have risen, particularly for PSA-graded stuff. My son & I have been pursuing the O-Pee-Chee years when they had the “trophy” All-Star Rookie designation on the front of the card- 1st yr was 1965, e.g. Tony Coniglioro, #55. Do you have any idea of what yrs, players, nos there are of these ? 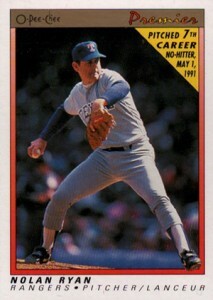 1992 was the last year, and for a number of yrs, like 1979-1986 there were no Topps cards with that “trophy” on the card. Thanks for your help. Sam.